Norris, the author of Blackballed Twice, a poetic tale of his baseball career as well as memories of his Oakland teammates and managers, emerged during the 1980 season as one of the top pitchers in baseball with his hot start. At first, Norris impressed nearly everyone in the organization, including–and perhaps most importantly–the teammates behind him. Norris opened his 1980 season with five straight victories– three of them complete games, one of which was a shutout– sporting a 0.360 ERA as his Oakland A’s arrived in Toronto for a mid-May weekend series. His fifth win had come against those very same Blue Jays at the Coliseum, a 12-1 laugher. Norris expected a similar outcome as he left the A’s clubhouse to prepare for his Toronto start. The Blue Jays starter that night, Jesse Jefferson, must have heard the same sound. Zan Hollander, the famed writer of baseball handbooks, wrote quite a bit on Jesse Jefferson, from his promising first year with the division-winning Baltimore Orioles in 1973; to the mid-season 1975 trade to the Chicago White Sox for first base defensive specialist Tony Muser, where he was a “holdover starter” for the 1976 White Sox squad; to being selected by the Toronto Blue Jays in the expansion draft for their inaugural ’77 campaign; through the seasons where he took the brunt of the team’s growing pains, on the receiving end of win-lost records such as 9-17 in 1977, 7-16 in 1978, and 1979’s 10 losses against just two victories. When you look up Jefferson on Baseball-Reference.com and check his “similarity scores,” he is compared to players such as Pete Broberg, Pete Smith, Paul Wilson and Toronto teammate Dave Lemanczyk–oddly enough, all pitchers considered phenoms in their time who only sometimes put it all together. 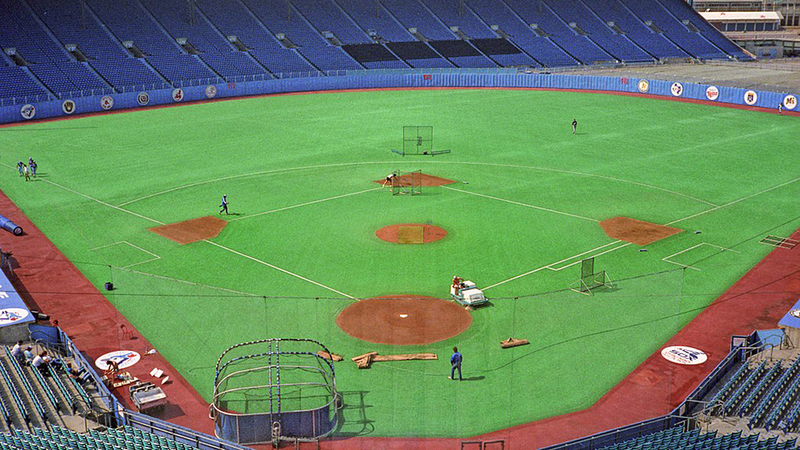 The 1980 Blue Jays was a ball club on the verge of shedding its expansion skin. In the franchise’s fourth season, the team’s record in mid-May sat at 17-12. Players such as pitcher Dave Stieb began to blossom, along with 1979 co-Rookie of the Year Alfredo Griffin, emerging infielders like Willie Upshaw, and Damaso Garcia, a future All-Star at second base. The major league debut of Gold Glove center fielder Lloyd Moseby was less than a month away. To everyone involved, it was pretty clear expansion holdovers such as Jefferson, Dave Lemanczyk and Bob Bailor would see their playing time diminished by rising youngsters. Jefferson began his night by blowing through leadoff hitter Rickey Henderson and then Dwayne Murphy on nine pitches. A single from Mitchell Page and a Dave Revering fly ball closed out the inning. Norris made it through the bottom of the first with a walk and three pop-ups. Jefferson’s second inning was much like his first–a popout and two strikeouts, one of the victims being Tony Armas, the strong-armed right fielder who would later that season begin his ascent to becoming one of the premier power hitters of the early ‘80s. Norris’s second inning, same as the first: a walk and three outs. In the third, Jefferson gave up his first hit, a single to the A’s light-hitting shortstop Mario Guerrero, but a half inning later, Norris’ efforts yielded virtually the same result, giving up a base hit to the center fielder Rick Bosetti before three outs. In the fourth, Jefferson faced the middle of the order. A walk and three outs was the result. In his frame, Norris mowed down the heart of the order with a weak groundout to second base and two strikeouts. After four innings on that crisp Toronto evening, Jefferson opposed the emerging star pitcher of Billy Martin’s A’s and held his own. When you’re talented, some nights you simply have it. Even when your opponent bests you for a moment, you still rise above. In the fifth, Oakland catcher Jeff Newman smashed an opposite-field double to right, and Guerrero’s dribbler up the first base line moved Newman over to third. But this was the Jesse Jefferson whom White Sox GM Roland Hemond acquired in 1975, that the Blue Jays drafted in ‘76, the Jesse Jefferson everyone dreamed he could be. A Rob Picciolo strikeout led to a two-out, man-on-third confrontation with Henderson, a second-year player whose eye at the plate was as outstanding as his feet on the basepaths. Jefferson bore down on Henderson, who flew out weakly to right to end the inning. Meanwhile, Norris made quick work of the bottom of Toronto’s order, and the contest went to the sixth with no score. Norris, recalling the 12 runs his boys put up against the Blue Jays one week before, remembers trying to remain as calm as possible under the circumstances. Jefferson walked Murphy, and Martin, recognizing the showdown playing out before his eyes, had third-place hitter Page bunt down the third base line, Murphy to second, one out. Lefty-swinging cleanup hitter Revering tried to go the other way on Jefferson but only flied softly to Al Woods in left, unable to get the runner to third. There were two outs, but Jefferson was far from the end of this inning. A Wayne Gross walk put runners on first and second with Armas coming to the plate. The great managers–and Martin, for all his issues with addiction and self-esteem, was one of the greatest field generals of all time–are able to react to the circumstances and adjust their in-game plan. With one of the team’s power hitters and hot bats at the plate, Martin distracted Jefferson with the baserunners taking huge leads off first and second. Jefferson wasn’t known for holding runners on, so Oakland pulled off a double steal, with the swift Murphy taking third while the led-footed Gross grabbed second, the fourth of five stolen bases he would have in 1980. There were now runners on second and third, two out, and Armas at the plate. If the A’s right fielder had faced the Jesse Jefferson of ’77-’79 Blue Jays fame, he most likely jacks a grooved 94-mph heater into the seats right above the Brewers logo attached to the left field wall. On a different night, a well-placed two-run single might have been enough cushion for Norris to make easy hay of the Blue Jays and cruise to a second shutout of the season and sixth consecutive victory. But on this night, Armas was staring down the barrel of the Super Jesse Jefferson, the one pitching coaches had dreamed about for over a decade, the hope of Coach Clarence Washington, Carver High School, class of ‘68, the pride of Midlothian, Virginia, who had never seen one of their own pitch on a major league mound, the Jesse Jefferson Zan Hollander predicted great things for. The Jesse Jefferson that was ready to win big in the majors. Beyond a Woods double to right field, Norris had an easy time with the Jays in the bottom of the sixth. The A’s half of the seventh inning went by in similar fashion: strikeout, flyball, single. Henderson tried to figure out Jefferson, but the result was an opposite-field line drive caught by Jays right fielder Barry Bonnell. Norris mowed through the bottom frame: can of corn to Murphy in center, weak grounder to first, strikeout. Love-love through seven. It wasn’t as if Jefferson had never experienced a game like this in his career. His rookie start for the Orioles against Carlton Fisk, Reggie Smith, Carl Yastrzemski and the rest of the Boston Red Sox ended in a 10-inning, 2-1 victory. But it had been six years since he performed like this and almost two seasons since his last shutout. According to Norris, as the game wore on, it all came back to Jefferson. Like a Scorsese-directed sports film, you could almost hear “Gimme Shelter” swelling on the soundtrack as Jefferson and Norris dueled through an easy inning montage. CUT TO: POP OUT TO THIRD. CROWD ROARS AS JAYS JOG OFF THE FIELD. JESSE JEFFERSON stares down at Mike Norris, half a grin, cocky nod. NORRIS accepts the challenge with his eyes, shaking his head. CUT TO: DEEP FLY BALL TRACKED DOWN BY THE CENTER FIELDER. NORRIS glares Jefferson’s way with a barely noticeable tip of his cap. And then to the ninth. Jefferson’s half inning of work was smooth. Strikeout. Fly ball. Pop out to first. Inning over. Norris’s frame was a little different. Norris’s frame of mind kept him from concentrating on the next batter. Roy Howell’s single to right field put the game-winning run on first base. And then up came John Mayberry. “Heh-heh, Big John,” Norris laughed, “Fans today don’t remember the intimidating factor Mayberry was back then.” The Blue Jays first baseman, who finished his career with a 123 OPS+, was no hacker at the plate. For a tall, lumbering power hitter, the 6-foot-3 Mayberry never struck out more than 86 times in a season, and he walked over 100 times twice, leading the league both years. Baseball writers of the day often would say Mayberry could carry a team on his back when he got hot. He had seven seasons in the 1970s (primarily as a member of the Kansas City Royals) with 20-plus home runs, and Mayberry was the runner-up in the 1975 MVP voting, as he enjoyed a 30-homer season. Norris tried to pitch his games with maximum focus on the batter and took his time toeing the rubber with Mayberry. Players didn’t often keep detailed notes on their opponents, especially pre-internet, but most were aware of Mayberry’s knowledge of the plate. Norris knew he would have to rely on the pitch his coaches warned would ruin his arm, with the winning run on first, two out and the fans on their feet. But it was enough, striking out the power hitter who rarely did, seating the excited crowd. In 2018, Norris and Jefferson would most likely be out of this game after eight innings, probably even seven. In 1980, on this night, they both went to extra frames. In the 10th, Jefferson made easy work of Guerrero and Picciolo on a pop to first and a strikeout, Jefferson’s 10th of the game. Henderson managed a walk out of Jefferson on his 135th pitch. I suspect Martin knew the potential he had in Henderson, but at this point, Henderson only had 13 stolen bases in a season he would finish with 100. Remarkably, the A’s manager chose to let Murphy hit without sending Henderson. It wouldn’t matter: foul pop to first, end of the inning. Norris put the exhausted Jays defense back on the field rather quickly: groundout, flyball, flyball. To the 11th, 0-0. Super Jesse Jefferson set down the A’s: groundout, flyball, flyball. In the bottom of the 11th, Norris walked pinch hitter Bailor. Leadoff man Griffin bunted Bailor to second; Bosetti walked. Woods grounded to deep in the hole behind second, too far for Picciolo to turn two, but he saved a run and, at least for the moment, the game, nailing Woods at first. Runners on second and third, two out. Howell stepped to the plate. The Blue Jays third baseman, who did his part in trying to finish off Norris in the ninth with a single, dug in trying to close it out in the 11th. Like the final classic scene in Sergio Leone’s “The Good, The Bad & The Ugly,” there are three men involved in this confrontation: Norris, Jefferson and now Howell. (Cue the Ennio Morricone music.) Norris, who was past his 140th pitch; Howell, who thought he has Norris’s number; and Jesse, who may have been on the receiving end of one of the great pure baseball battles of the last 30 years. On May 16, 1980, Jefferson was the best pitcher in baseball. To date, Norris vs. Jefferson remains the only game in baseball history in which two African-American starting pitchers went into the 11th inning of a scoreless game. Howell’s game-winning single also snapped Norris’s 35 consecutive-inning streak without giving up an earned run. Immediately after the loss, Norris began to fully understand the difficulty of realizing his 30-win dream season. He needed an outlet for his frustrations. Funnily enough, it was the Oakland A’s manager’s 52nd birthday that night. While Norris was terribly upset for failing to provide a gift-wrapped victory for his beloved skipper, it was Martin himself who was handing out presents to his workhorse pitcher. 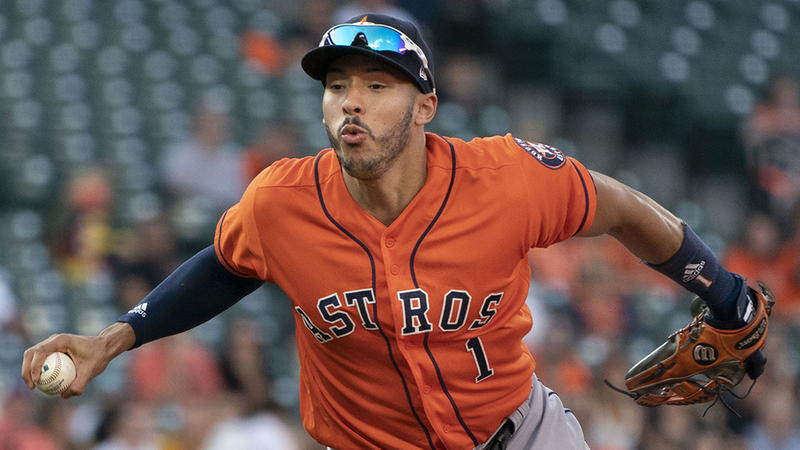 Martin would continue to allow Norris to go deep into games the rest of the year. Norris finished the season at 22-9 with 23 complete games, the AL Cy Young Award runner-up. Jesse Jefferson would never enjoy a night like this again, going winless for the Blue Jays until late July. He was claimed off waivers by the Pittsburgh Pirates in September of 1980, eventually spending the last three seasons of his career pitching in Mexico. Jefferson passed away on September 8, 2011, at the age of 62. He is buried at the First Bapist Church Cemetery in Midlothian, Virginia. In 1990, the Oakland A’s Dave Stewart would be the last pitcher, let alone African-American pitcher, to throw an 11-inning shutout, but 10 years earlier, 16,138 fans at Exhibition Stadium in Toronto got to witness the greatest duel between black starting pitchers in baseball history. It’s unfortunate Mike Norris was overused by Billy Martin and the A’s, it ended up costing Oakland a valuable starter for years. Like many other players during this era, Norris also developed a cocaine habit, which shortened many careers. This is a great read, reading the names of the 1980 Jays brought back memories of being 10 years old and thinking John Mayberry was the greatest player who ever lived. It didn’t hurt that he happened to show up at a little league game I was playing. Great piece, very well documented, wonderful narrative. It was particularly impressive for me since it’s about plenty of players who performed in the venezuelan baseball league. Specially Norris, who played for the Navegantes del Magallanes, my favorite team down here. It seemed as if I were listening to a game in the mid of the 1970’s.